LGC offers two types of programs: the preferred group program and the individual program. • Our courses are intensive (16 teaching units weekly, each unit 45 minutes), semi-intensive (12 teaching units weekly) and extensive (9 teaching units weekly) for a period of 4 to 6 weeks. In the group program a student takes 48-60 teaching units of German language instruction for each level. A placement test will be given to the registered students before the start of the course to determine the level and accordingly the appropriate class they should enroll in. • Individual programs are offered flexible and are tailored to meet the needs of individuals or small groups working in fields like medicine, diplomacy, business, and others, and therefore may vary in their contents, duration, time of offering, and cost. • The size of each regular class group is min. 6 to max. 13 students. In exceptional cases only 14 students can be allowed to join the running course. In other overload cases (with more than 14 students) the group can be divided into two parts. Seats are limited. • The individual programs reside in elaborating student’s difficulties in several areas according to its subject. • The official German language exams A1, A2, B1, B2, C1 for studying and/or working in Austria, Germany and Switzerland or even for the family re-union in Germany can be taken at LGC. 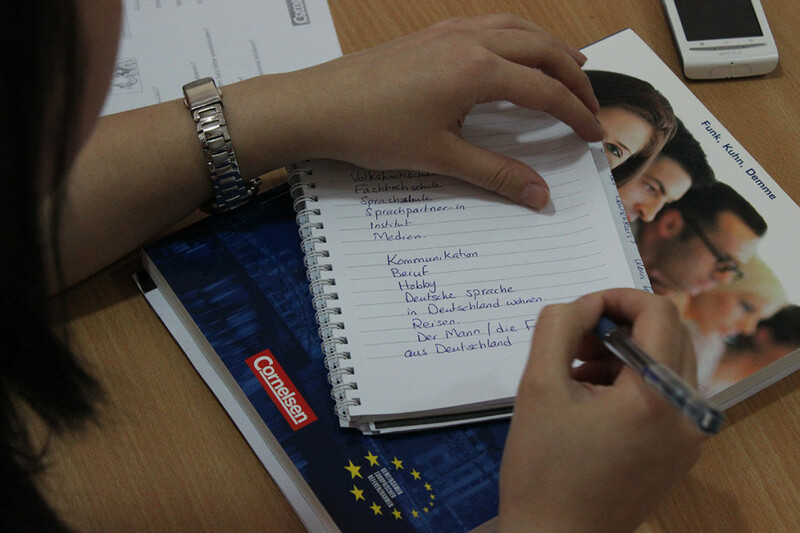 For the fees and dates please check our page “German Language Exams”. • The center cooperates with the Goethe Institute in Amman and the German Jordanian University regarding the German regular language courses. All courses are taught at Language Generation Center. • Experienced multilingual German, Austrian and Jordanian instructors with solid teaching experience and training will be responsible for teaching the German courses. • The language courses are supplemented by cultural and social activities. Participants in the programs will also be encouraged to meet and interact with German speaking people in Jordan and everywhere.